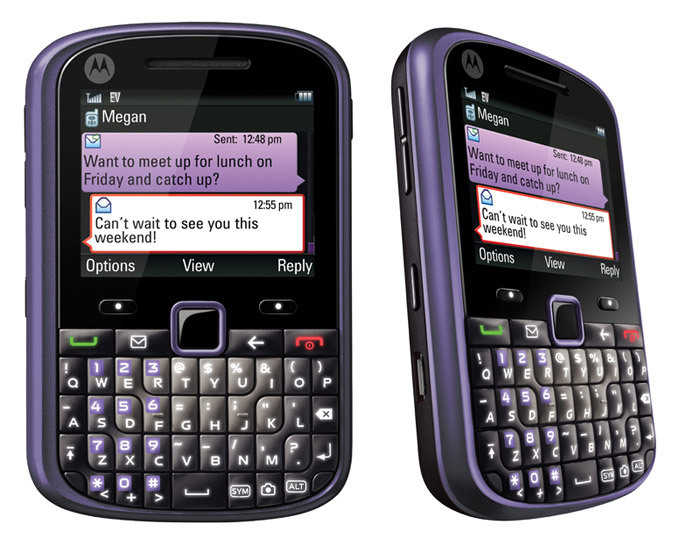 Motorola and U.S. Cellular announced the Motorola GRASP, a QWERTY mobile phone featuring eco design elements and is BFR and PVC free with a housing that is 100% recyclable at end of life. The Motorola Grasp has measures of 61 mm x 94 mm x 13 mm, weights 105 grams and the features are pretty basic- 2.2-inch (220 x 176) TFT display, Bluetooth 2.1, 3.5 mm, USB 2.0, MP3 player, 950 mAH Li-Ion, a 1.3 Megapixel camera with fixed focus, microSD card support and a QWERTY keyboard, which makes the device ideal for sending texts and e-mails at affordable price( $39.95 after a $50 mail-in-rebate). “With Motorola GRASP, we’ve incorporated features that make it simple to connect with the people that matter most, all at an affordable price,” said Dan Papalia, vice president, Motorola Mobility, Inc.